If you own an Apple iPhone or Apple iPad, you now have the opportunity to install popular video editing app Videoshop for free. Normally, the app would cost you $1.99. All you need to do is install the Apple Store app for iOS if you don't already have it on your device. Open the app and scroll down on the screen that is labeled "Features." You should see the Videoshop icon with the the words, "Make Awesome Videos." Click on that and you will sent to a "Download now for free" button. Tap the button and follow the instructions to install the app. 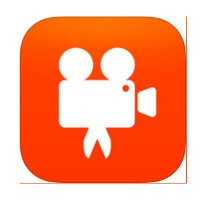 With Videoshop, you can add music, voice-overs and special effects to your videos. Clips can be played in slow motion, fast motion, and even backwards. You can have animated titles and subtitles, and choose from various filters. Videos can be combined, and when you are all done editing you can post the finished product on social media. No such thing as a free lunch? Videoshop can be yours for the taking. If you'd like to make more professional looking videos, install Videoshop now before it is no longer on the house. Export to snapchat - heck yah!!! Update: installed, tried to upload a video to snapchat - doesn't work - says "we're working hard to add this features, please check for updates soon". Disappointed - glad it was free. "All you need to do is install the Apple Store app for iOS if you don't already have it on your device" is there any way to uninstall/delete App Store app? Apple Store app is a connection to your local physical and global Apple store. It does not come preinstalled on the phone and available to download and uninstall anytime you want. I use it primarily to set appointments at one of two apple stores In my area as it lets you see available appointment times. App Store comes preinstalled on your phone and is for downloading apps. It can be removed from your list with other native apps thru restrictions menu in settings. iTunes Store also comes preinstalled and is for downloading and consuming media - it can also be removed thru restrictions menu. This message is brought to you by someone who actually knows how to use iOS. ok thanks for info as i never use iOS..